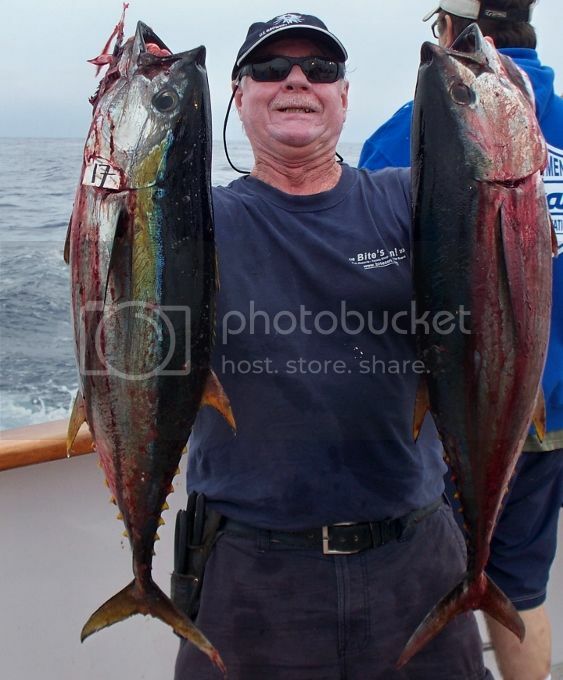 The incredible fishing for Tuna and Tails did not skip a beat this week. 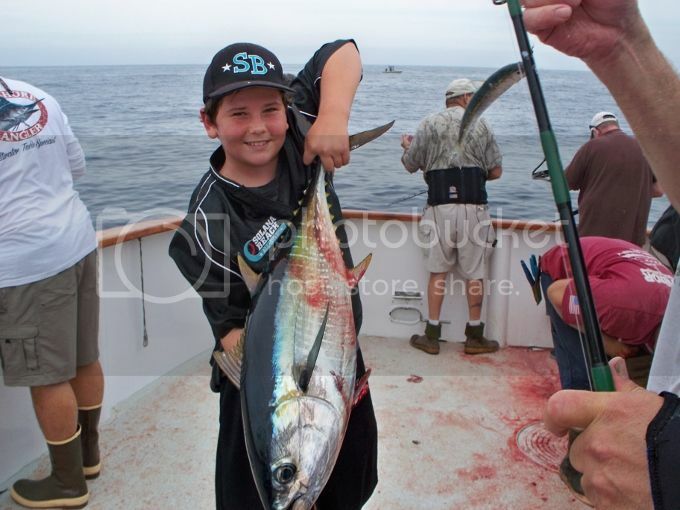 In fact with Mexico reopening fishing for Bluefin Tuna it just got better, as many boats got into schools of the big Bluefin, with schools averaging 25 to 40 pounds and others averaging 50 to 001 pounds. 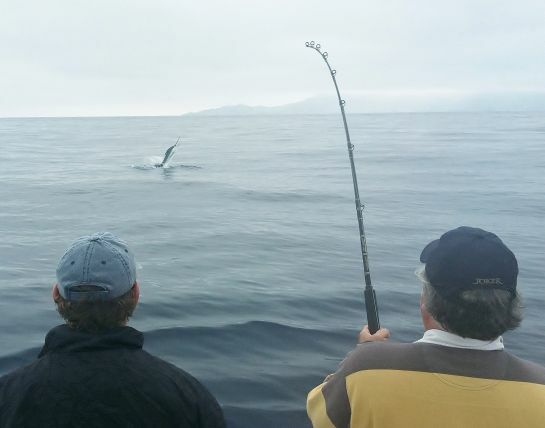 Near shore fishing for Tuna between Long Beach and Dana Point did not return in any significant numbers. Some Kelp Paddies have held good quantities of Yellowtail and more Dorado. 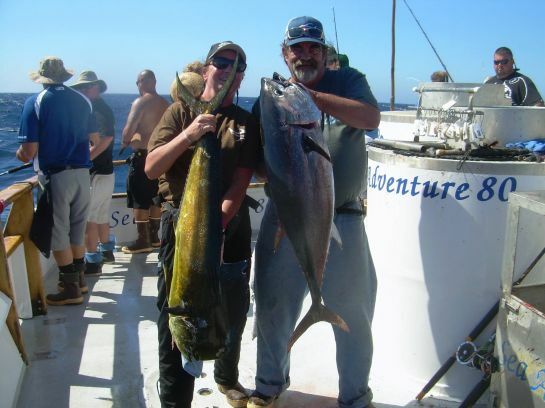 Not much change in the San Diego area, where boats are fishing near the border, they have found numerous schools of Yellowfin Tuna and occasionally are running into some very large Bluefin Tuna to 115 pounds just north of the border as well as down south at the Tuna Pens. 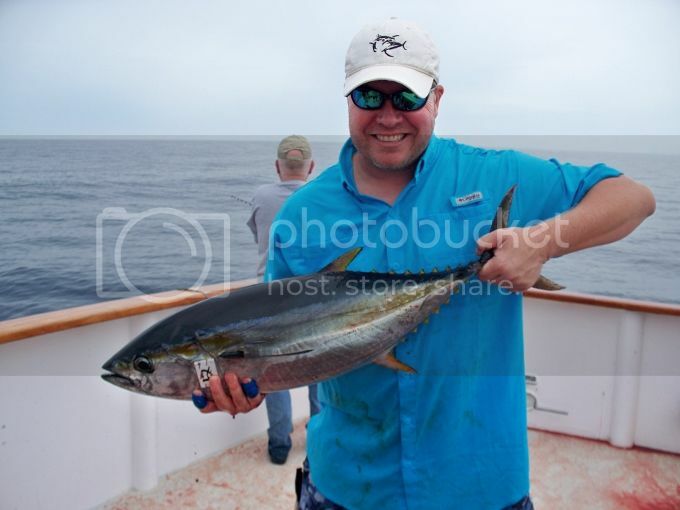 The Yellowtail bite at Catalina Island has been just sensational, with plenty of Bonito and some Barracuda being caught. 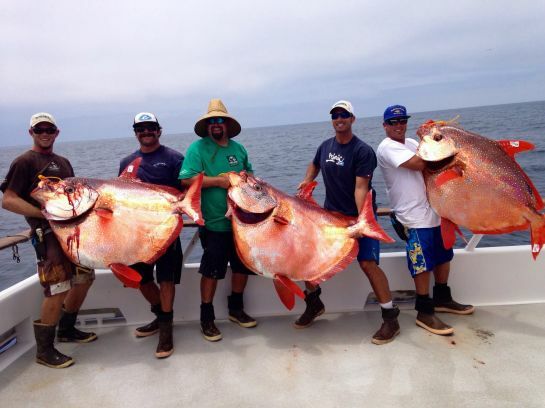 A few Bonito are being caught in Santa Monica Bay as well as off San Pedro and Long Beach. This has to be the worst summer in memories for Sand Bass fishing? It just is not happening! Ho Hum, The Channel Islands boats continue to catch White Seabass and big Halibut, what a year they are having? 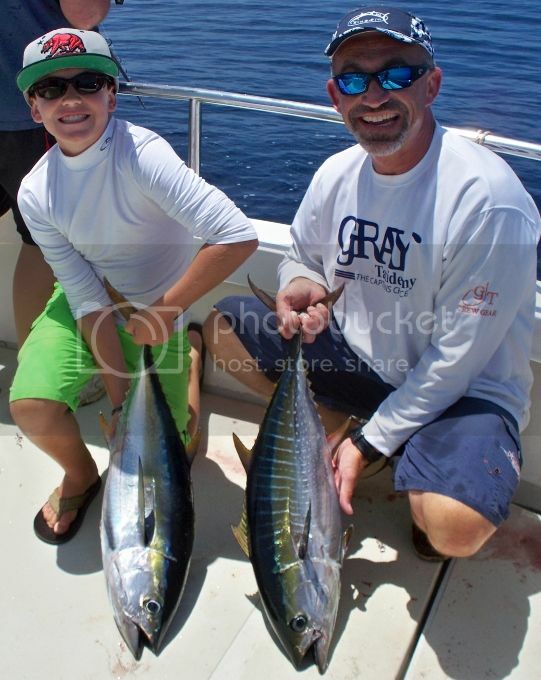 A couple of great reports out of Dana Wharf Landing! The weather forecast for Friday and Saturday looks to be very fish-able with a little wind in the afternoon! Always check the latest forecast before leaving the dock. So far it has been and continues to be an unbelievable season for Tuna and Tails, so close to shore, and everywhere in between. 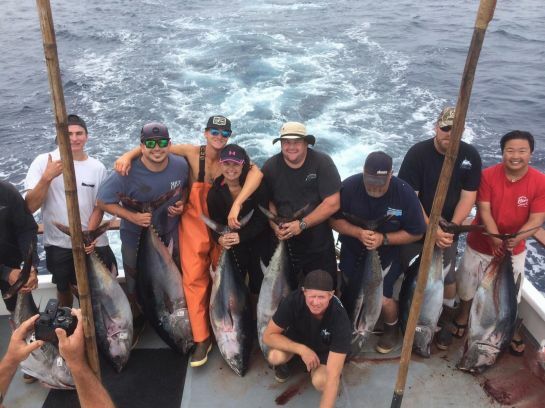 The Long Beach and Newport Beach boats have had to make longer runs to find the Tuna, yet they are still producing too. Unfortunately the Tuna are no longer in 1/2 day range up north, yet near the border the fish remain close. 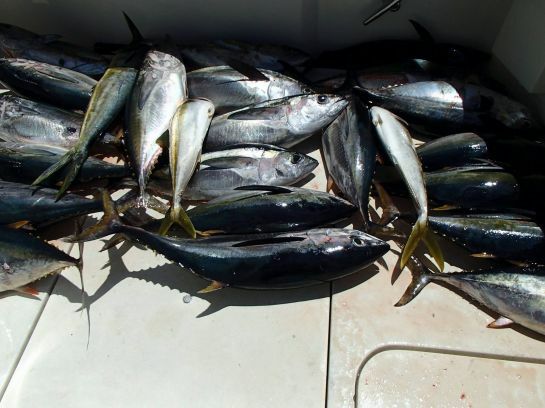 In the San Diego area, where boats are fishing near the border, they have found numerous schools of Yellowfin Tuna and occasionally are running into some very large Bluefin Tuna to 115 pounds just north of the border. Although a few Dorado are being caught on most trips, I expect a lot more Dorado will arrive later in August and remain through September? As far as below the border goes the Yellowfin Tuna and Yellowtail fishing remains wide open, with sensational counts found on ¾ day boats, one day boats and longer trips! Even the extended half day pm trips on the Dolphin have produced some outstanding results. 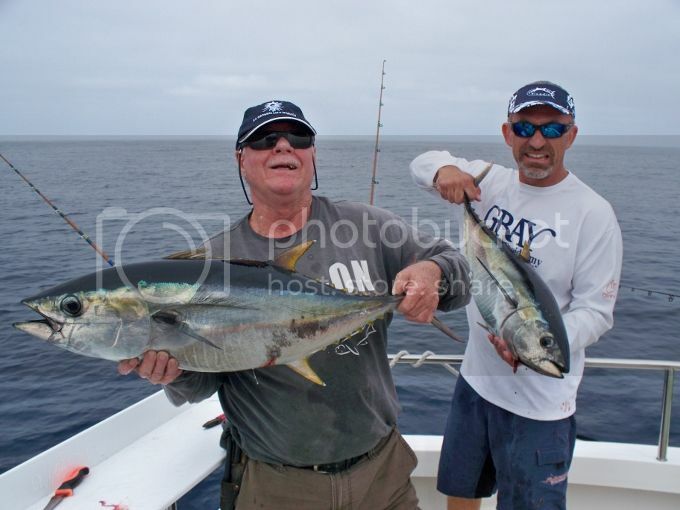 The Yellowtail bite at Catalina Island has been really going off lately, with some Bonito being caught. 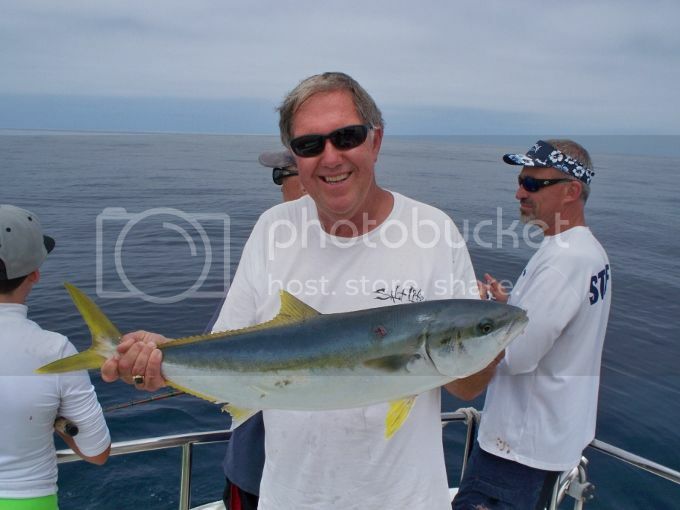 However a good many Yellowtail are under five pounds and should be released to fight again next year! The weekend boat pressure did not put the hex on the Tuna fishing this week, although the frantic pace of easy limits turned into a full working day to fill up the sacks, with so many boats sharing the area. I fished on the Condor on a 2.5 day trip that fished Sat. and Sunday. Since we could see land off and on during the trip, we were not very far offshore? How cool it is for the boat operators to not spend so much money on fuel on recent trips. 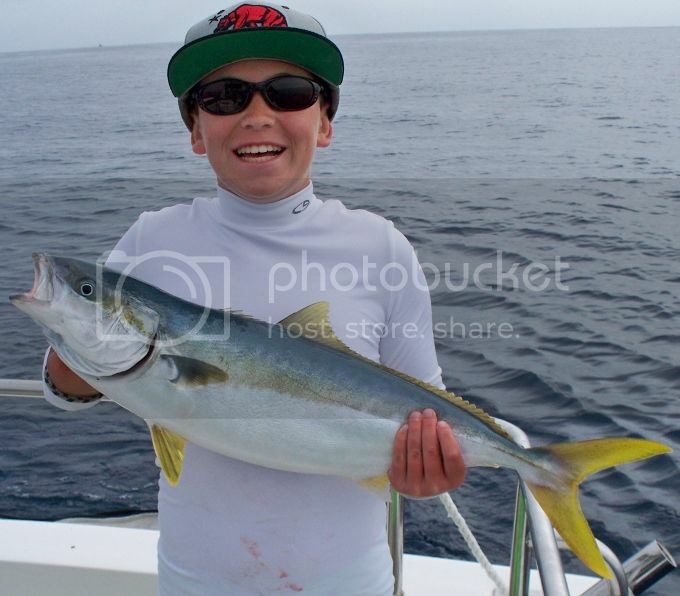 We straddled the border and scratched out 101 Yellowfin Tuna on Saturday, with not one single troll fish? How weird? Sunday was a whole different day, although Saturday and Sunday both contained Monsoonal conditions, with high humidity, off and on rain and a deep marine layer. 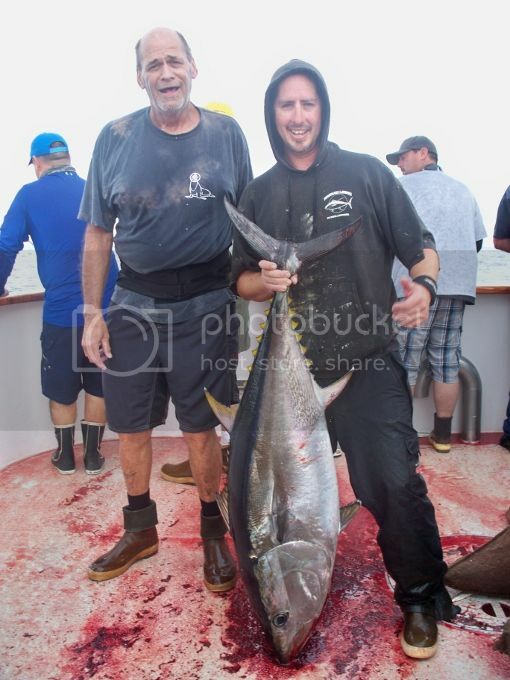 On Sunday morning we ran across some big Bluefin Tuna. 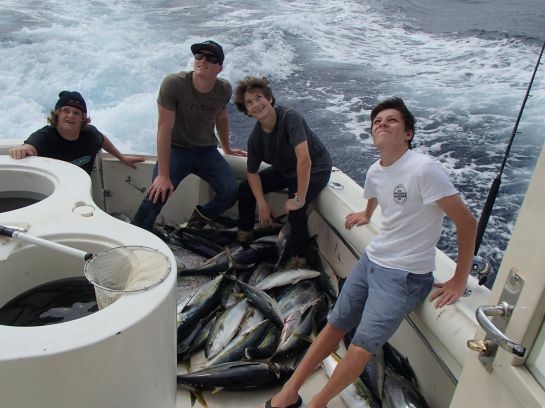 We hooked 25 and ended up catching only 8 to over 90 pounds. Too many folks were using light gear and waved goodbye to their fish shortly after hook up! Unfortunately I never got bit with the heavier gear. We caught 35+ trolling fish on Sunday as compared to zero on Saturday? We finished off trip limits by early afternoon and again went looking for big blue, with no luck in hooking any, although we ran over several schools. I finished the trip with double US limits! 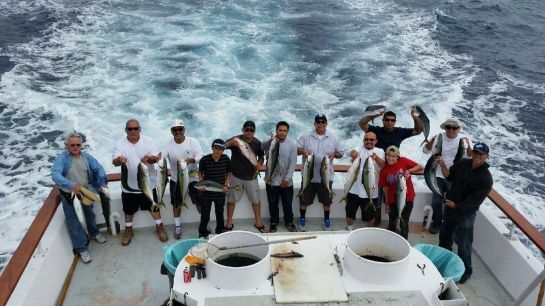 A few Barracuda being caught daily by the ½ day boats out of San Pedro and Long Beach. Bass fishing is way down right now, and the annual spawn looks to have been cancelled? A crazy year. The Channel Islands boats continue to catch White Seabass and big Halibut, what a year they are having? 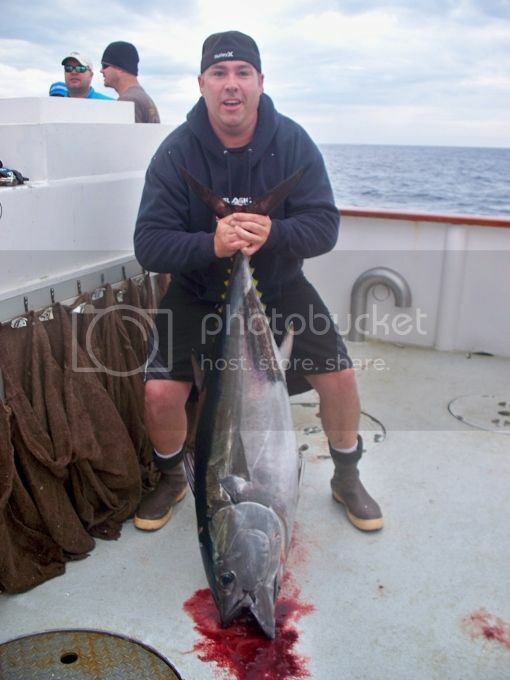 Sea Adventure 80 with a 115 pound Bluefin to go with all the other 270+ Tuna caught on their recent 2.5 day trip. Twilight fishing out of Long Beach on the Liberty, Saturday, 08-02-14 with 27 Sand Bass and a bunch of Sculpin. No recent reports besides good Calico Bass fishing. The weather forecast for Friday and Saturday looks fantastic! Always check the latest forecast before leaving the dock. 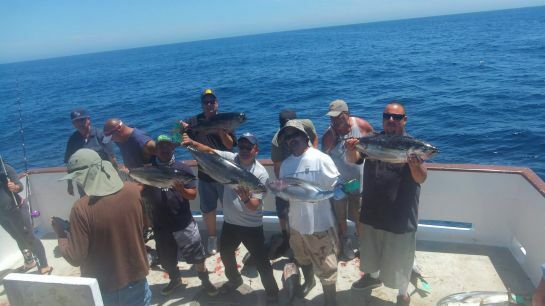 The local fishing for Tuna and Tails from Dana Point to Long Beach took the week off! Not sure why, with water temps as high as 77 degrees. The fish just seemed to move back down south. 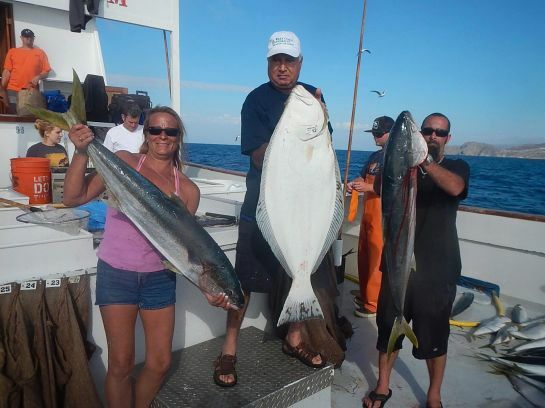 Fishing in US waters offshore remained stellar, closer to the border and out west between the 43 Fathom Bank and San Clemente Island. 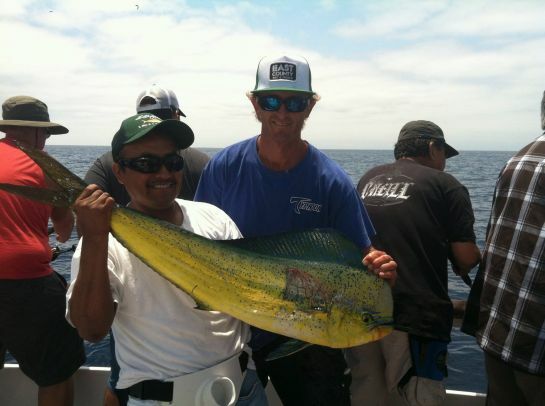 More and more Dorado are being caught, yet nowhere near the levels in the past when the water temps were this high. However, it is still very early, and I expect a lot more Dorado will arrive in August and remain through September? 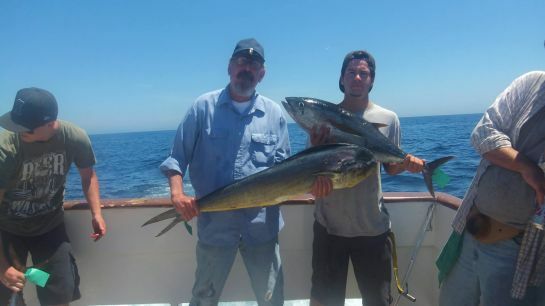 Bonito and Yellowtail at Catalina Island has been exciting lately. Bonito have also moved into Santa Monica Bay as well as off San Pedro and Long Beach. The weekend boat pressure put the hex on close to shore fishing, yet those that ventured a little further out away from the maddening crowd got the job done! 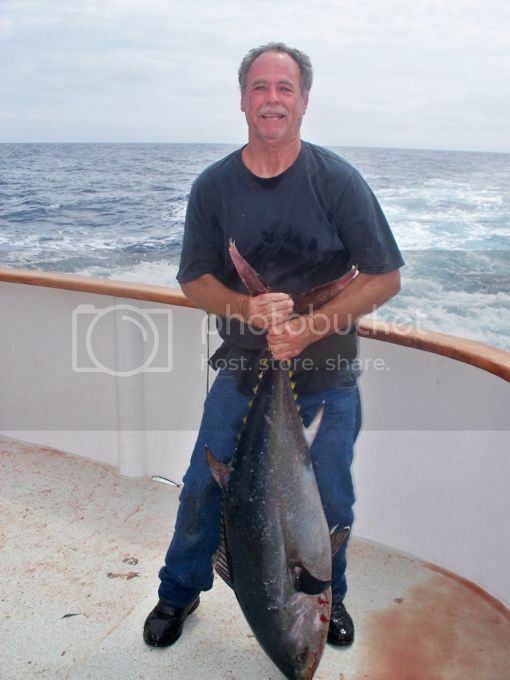 So far it has been an unbelievable season for Tuna and Tails, being both so close to shore, and also offshore. 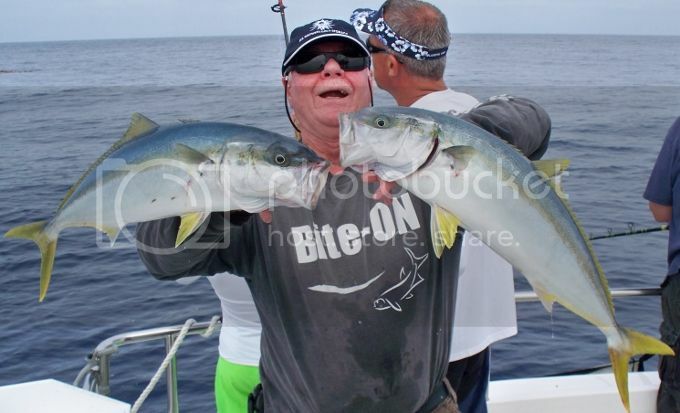 A couple days of decent Barracuda fishing by the ½ day boats out of San Pedro happened mid-week, yet has slowed since. Bass fishing is sort of hit and miss and no sign of the annual spawn is apparent? I would have to say another huge surprise for the year, which has been mostly overlooked with such spectacular fishing elsewhere, is the consistent White Seabass fishing at the Channel Islands, along with numerous huge Halibut still being caught in late July! 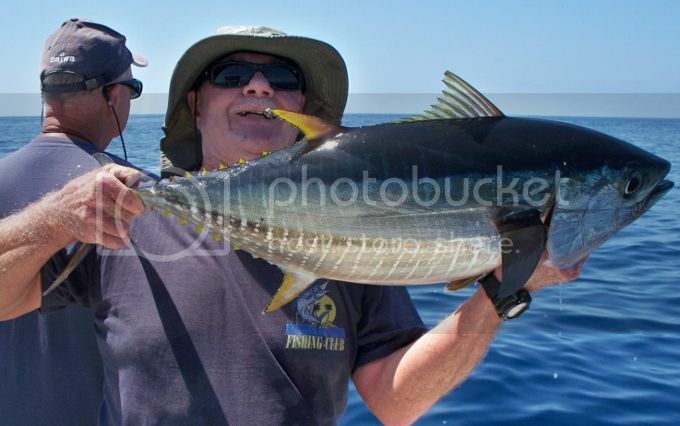 The Sport King and the Pursuit when not fishing offshore have found some good Bonito bites, with some Yellowtail and Calico Bass. Private boater Dave fished the island with friends on Tuesday, 07-29-14 and slayed the big Calico Bass to 7 pounds. They released well over 100. The Bass bit the iron, Plastics and inhaled the nice Sardines they had on board for bait.